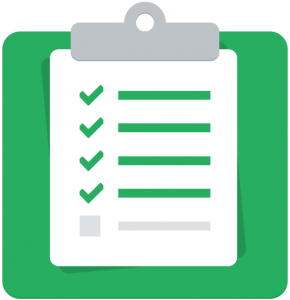 Note: All 5 pre-build tasks are necessary for those building an eCommerce store (be it dropshipping based, stock-and-ship based, service based or digital-product based). For those building an affiliate product store, only pre-build tasks 1-4 are necessary (task #5 is not relevant). Basic understanding of your product line – You don't need to be - and aren't expected to be - an "expert" on your chosen niche at this point. However, it's good to have a very basic understanding of your product line. As you're building your store, it will be helpful to know what type of customers will be shopping for your products and what "problem" they're trying to solve by purchasing those products. You'll also want to know some basic stuff about your products like the different styles, materials, features, etc. This knowledge will be extremely helpful when creating your category structure and writing basic sales copy on your home page and various other pages of your website. If you don't feel you have a sufficient base knowledge of your product line yet, just spend 10-15 minutes cruising around on your supplier's website (and/or a close competitor's website), paying special attention to the category structure. Image files or URLs of product images – In addition to the product information, you also need to get your hands on at least 1 (more is better) product image for each of the products you'll be offering. Now, this doesn't necessarily mean you need the .jpg images on your computer (although that's one way to do it). But it's actually easier if you just have (within your product spreadsheet - or "feed file" - you'll be creating) a column that contains the URL location (i.e. http://suppliers-site.com/images/product1.jpg) where the images can be retrieved. Ask your supplier how you can get your hands on the highest-quality, highest-resolution product images available. Again, how you get the images will vary by supplier... copy/paste from their website, log in to dealer portal, log in to an FTP site or retrieve them from a CD/DVD they send you. Okay, it's time to get a domain name for your store. Depending on how far you went in Chapter 3 with preparing to contact potential suppliers, you may have already gotten a domain. If so, you just need to decide whether you’re good with it being your permanent domain name for your store or whether you want to spend another few bucks to get a "better" domain. That’s obviously your call, but maybe some of the advice below will help you make that decision. 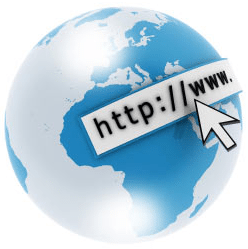 How important is your domain name? Well, let’s say this… it’s important, but it’s not important enough to get stuck on this step and stew about it for days or weeks. You’re not trying to create the next Amazon or YouTube here. You’re building a little niche eCommerce store that people are going to find through Google or by clicking links on the web. You’re not trying to become a "household name." So, of course, you want to pick a good, catchy domain name, but there’s really no reason to spend more than 15-20 minutes on this step. Your domain name can contain some or all of your main keyword phrase, but it doesn't necessarily need to. We oftentimes combine a 2-word keyword phrase (which may just be the 2 most important words within a longer 3-5 word phrase) with a short "filler word" at the end. For example, when we registered a domain name for our bird cages website, we named it BirdCagesNow.com (so the name of the store is 'Bird Cages Now'). See the expandable box below for a good-sized list of short, catchy filler words you may want to consider. Another option is to use a meaningless, made-up word before or after the single root word. For example, when we launched our wedding rings web store we came up with ZiloRings.com (so our store's name is 'Zilo Rings'). The word 'Zilo' is a totally made-up word and has nothing to do with the product line... we just liked the way it sounded (and it's short) so we went with it! Again, this is important enough to put a bit of thought into, but certainly do not let this slow down your progress! What Domain Registrar Should You Use? There are a lot of different domain registrars out there, and frankly, they're all pretty much the same. But over the years, we've come to prefer NameCheap.com for two reasons: 1) private registration is included free (it's usually extra with other registrars); and 2) NameCheap is hands-down the best place to get an SSL Certificate (which we'll be talking about in pre-build task #5 below), and it's convenient to have your domain name and SSL with the same registrar. So I recommend registering your domain name at NameCheap.com. Hosted shopping cart platforms include web hosting, meaning that the company that provides the shopping cart software ALSO "hosts" your website on their servers. So you're getting the software and the hosting service together as one package. Self-hosted shopping cart platforms do NOT include web hosting. In this case, it’s just the software. If you get a self-hosted shopping cart, you will need to first sign up for a web hosting account (we strongly recommend BigScoots) and then install the shopping cart software onto it (and also maintain the software to keep it updated). In general, you should avoid self-hosted carts unless you are an advanced webmaster with a fair amount of experience dealing with web hosting, security issues, PCI compliance, installing software and keeping it up to date. Hosted carts are better for the vast majority of website owners, regardless of experience level. With a hosted shopping cart platform, you don't need separate web hosting because the cart provider includes it. They also handle the installation of your cart and all maintenance associated with the software and the web hosting. We have extensive experience with web hosting and managing software, but because of the ease of ownership with hosted carts (and how affordable they are), we opt to use them for all our stores. If you do decide to go the self-hosted route (because you're doing an affiliate product store and/or because you have some webmaster/WordPress experience), we recommend getting web hosting with BigScoots and then installing Wordpress (with the WooCommerce plugin) for your shopping cart. You can get web hosting for under $10/month, and Wordpress & WooCommerce are both free (although you will probably want to add a couple $10-20 one-time fee plugins to get all the "bells and whistles" for your store). I would also strongly recommend investing $40-100 for a professional store template, as the basic WordPress templates are pretty "bare bones" and dated looking. We've found ThemeForest to be the best place to find affordable yet extremely professional WordPress templates. Step 1. 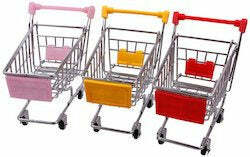 Get the nameserver names from your shopping cart or web hosting provider. If you're on Shopify, follow the instructions provided in this tutorial. If you're using some other shopping cart or web hosting account, you were probably provided the nameserver names in one of the initial "welcome emails" you received. If not, you'll need to search your cart/host's support center or knowledge base to find it. Step 2. Enter the nameservers at your domain registrar. Once you have the nameserver names in hand, just log in to your registrar account (i.e. NameCheap) and enter the nameservers for the domain name you are using for your store. Here are step-by-step instructions for entering your nameservers at NameCheap. Step 3. Wait 1-72 hours. Once you've updated your nameservers (which you did in step 2 above), it will take between 1-72 hours (usually 1-10 hours, though) for your domain name to start pointing to your shopping cart/hosting provider. Click here for some additional information on why it takes so long for the changes to take effect and how you can check to see when it has. Note: This task is NOT required for those building an affiliate product store (since you will not be accepting payments from customers). In order for customers to pay you, you need to be set up with some sort of payment processing account. Initially, the easiest approach here is to get a free PayPal business account so you can at least receive PayPal payments from customers. It's super-easy to integrate with virtually any shopping cart, and most online shoppers have a PayPal account. Eventually, you will definitely want to also take credit cards on your website without the customer having to leave and return (like they do with PayPal). “Why?” you're probably wondering. Well, the answer is visitor trust. This is the first of many times you will hear me say that trust is the #1 factor for converting a visitor into a paying customer (even more so than price of products). If you want to look professional and gain the trust of your visitors, you need to accept credit cards right on your website. 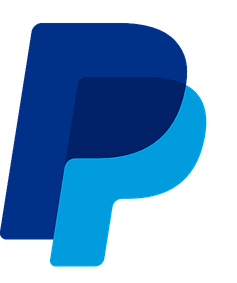 Even though PayPal is a household name now and many shoppers use it, accepting nothing but PayPal looks very "amateurish" and doesn't really go too far in proving you are a professional company shoppers should trust. In order to take credit cards on-site, you'll need what's called a merchant account. They generally cost about $30 a month, and then there are other small miscellaneous processing fees. (Keep in mind that PayPal charges up around 3% in processing fees per transaction, so the miscellaneous processing fees with a merchant account should not be considered "extra" fees. In fact, the transactional fees with a merchant account will most likely be less than the transactional fees PayPal charges.) Our #1 recommendation for a merchant account is a company called Durango Merchant Services. We discovered them a few years back and now refuse to use anyone else. Not only are their rates amazing and their customer service second to none, but they are the only merchant account provider we've found that allows us to use a single merchant account for all of our stores... so gone are the days that we need a $30/month merchant account for each web store we're running! You can read more about why we love Durango so much and apply for an account here. If you're on a tight budget, you can hold off on getting on-site credit card processing until you are getting a few visitors a day, but it's something you should definitely get sooner rather than later (and right now if you can). It greatly increases your conversion rate to take credit cards on-site, so that $30/month fee is covered by a single additional order per month! Note for those living outside the USA or Canada: If you're outside the United States or Canada, you unfortunately won't be able to get a Durango account. Click here to see our recommendations for non-US/Canada residents. Note about SSL certificates: You may have read/heard that you're required to have an SSL Certificate (which encrypts all of the customer's sensitive data) if you offer on-site credit card processing. This is true. However, this doesn't mean you need to go out and purchase a third-party SSL certificate. Why not? Because Shopify provides a free SSL certificate that your store can use for securely processing payments. (If you are self-hosting your store (rather than using a hosted shopping cart) and plan to accept payments on-site through a merchant account, you do need to purchase a third-party SSL certificate.) Okay, that does it for the pre-build tasks you should have done before you start building our store. Once you've completed all 5 pre-build tasks, you're ready to move on to Chapter 5!